One large onion, coarsely sliced. Salt and black powdered pepper, as desired. Method: Wash and dry chicken halves then slice lengthwise about ½ cm. Pound the halves, then place in a bowl with onion and olive oil. Mix and let rest in the refrigerator for an hour, with closed lid. Add lemon juice, saffron, salt and pepper and place in 350 F oven, with closed lid, for 45 minutes or until thoroughly cooked. 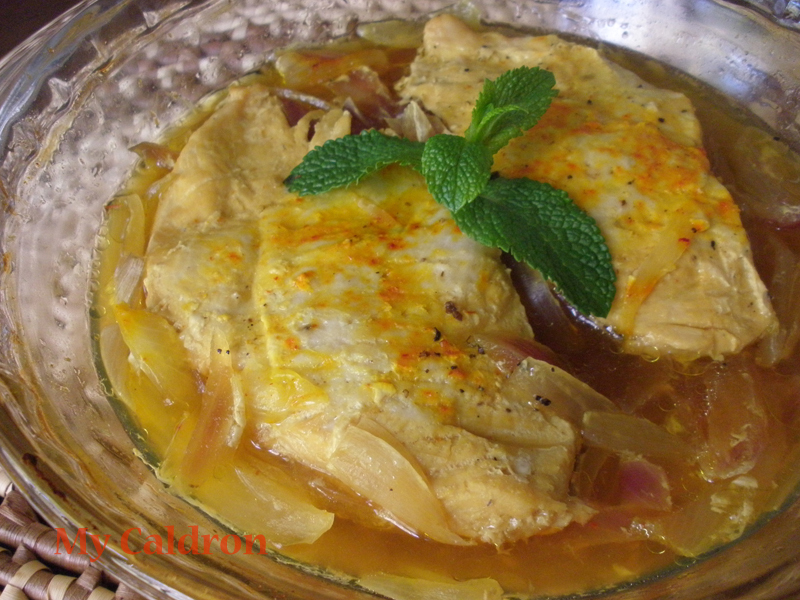 This will produce the type of breast chicken dish you might want to serve with any Persian mixed rice. 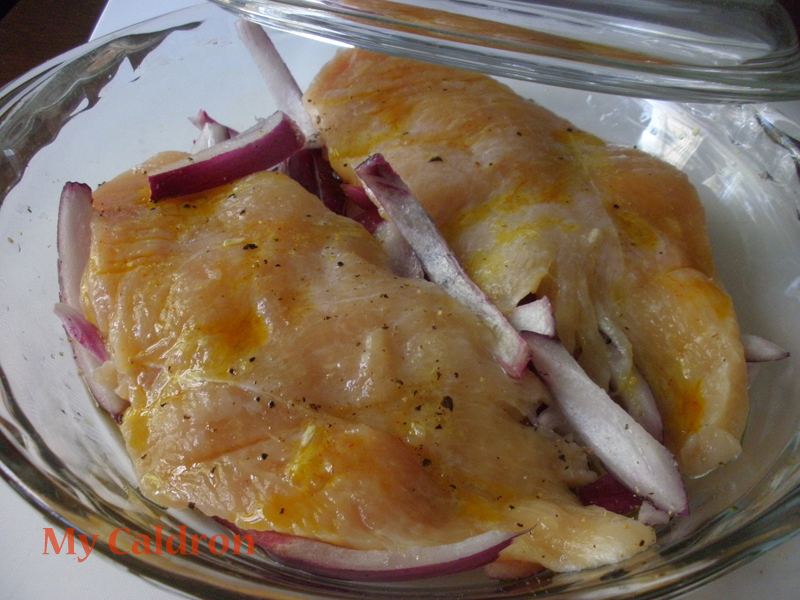 Simply transfer the chicken halves into a shallow bowl along with some of the juice. To get a more roasted-like dish, at the end of 45 minutes, remove the lid and turn oven to broil for 5 to 10 minutes, depending how much juice you still have in the bowl. Take out from the oven when the juice thickens and the cooked breasts get a bit crispy on top. Don’t let it go completely dry through! 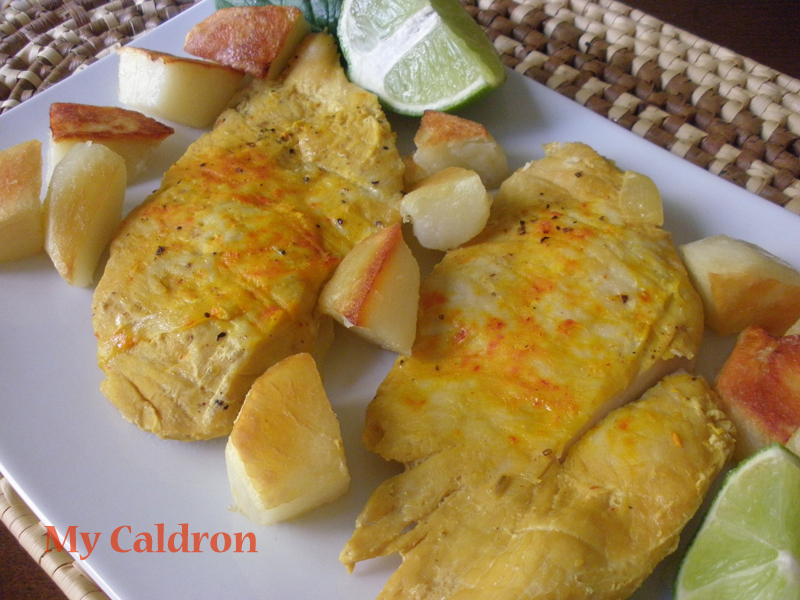 Serve in a platter with steam-cooked vegetables and/or roasted potatoes.